I’ve left it ‘oh, so late’ to enter the Explore the Elements competition hosted by Thomas Cook. I was tagged just a couple of days ago by Becky at Hidden Delights of Olhao. The prizes are so nice, but looking at the entries I already know I stand no chance! What finally decided me to enter was this shot, which I took yesterday. 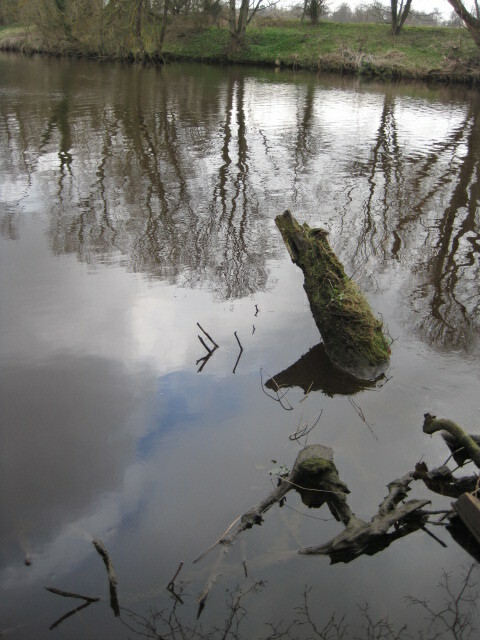 I wasn’t thinking about the competition, but was drawn to the water, as I always am, even on a dull day beside the River Tees. Formless. Emotional. Magnetic. Water holds me in its spell. In complete contrast, this blaze in the dark of a Paris night seemed to me to have all the crackle and energy of fire. Shooting upwards it brought a glow of admiration to my face. A wind farm off the north east coast of England stirs the air with vigour. 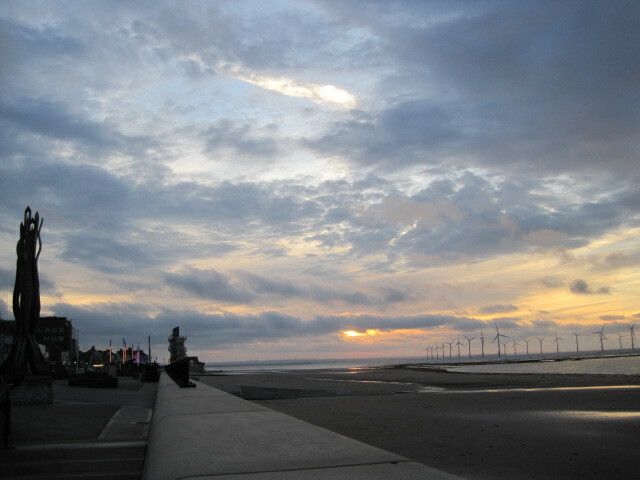 You can climb the Vertical Pier at Redcar to be a little closer to the elements and the swirling motion of the clouds. 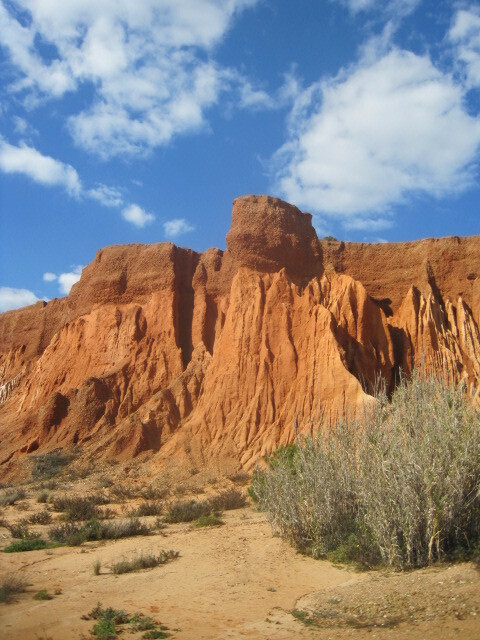 Gravity defying, the red cliffs of the Algarve stubbornly persist, despite the insidious forces of erosion. The earth here awes and yet is the same substance that binds us all together. These are my impressions of the elements. In order to enter the competition I have to nominate 5 bloggers. At this late stage it is of no benefit to them, but had it been possible I would have loved to see the impressions of Rommel at Sophomore Slump, Debbie at Travel with Intent, Lucile de Godoy, Sylvia at Another Day in Paradise and Sherri Matthews. Sorry guys- I guess the prizes have gone! ← Jo’s Monday walk : Just boats! I’m really torn with what my favorite is. Earth – My kind of element. I always love to see awesome-looking rock formations. 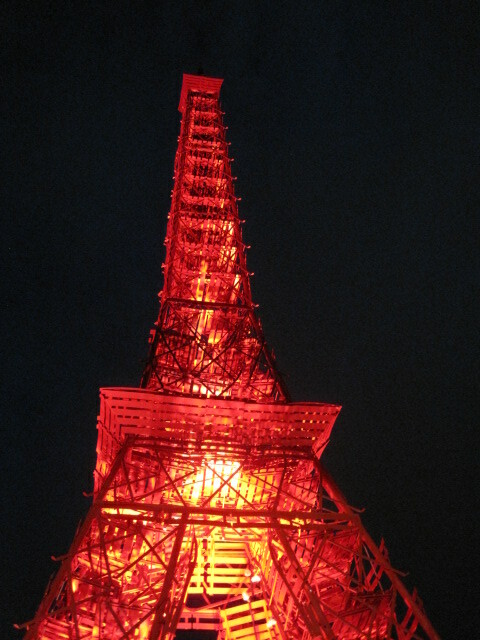 wowwwwwwwwwwwwwwwwww la tour Heiffel dipinta di rosso!!!!! Good luck, Jo! I liked your interpretations… The Earth one is my favourite! I like how everyone has a different favourite 🙂 Thanks a lot!